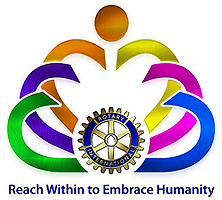 The first Rotary Club in the world wa organized by Paul P. Harris, a young lawyer, on February 23, 1905, in Chicago, with the object of encouraging and fostering the ideal of service as a basis of worthy enterprise. From its humble birth, Rotary quickly found appeal to business men in countries outside the United States, whil it continued to develpe and expand within the United States of America. In 1910, Rotary spread to Canada, and in 1911-12 to England, Ireland and Scotland, in 1916-18 to Cuba and Puerto Rico, and in 1919 to the Philippines. It seems only fitting that in 1939, twenty years after Rotary had spread to the Philippines, that on 8 June 1939, Messrs Justice Jose M. Flores and C.C. Butler, two prominent businessmen of Guam, met with CArlos P. Romulo, director and Past Vice-President of Rotary International on his way from the Philippines to the Rotary International Convention in Cleveland, Ogio to make a preliminary survey of the possibilities for organizing a Rotary Club on Guam. This was after preliminary inquiries had been made with local business leaders in 1938, as to whether there would be an interest in establishing a Rotary Club on Guam. Past Vice-President of Rotary International, Carlos P. Romulo, reported the results of the survey to the Board of Directors of Rotary International, and, on his return trip to Manily on 4 July 1939, the provisional Rotary Club of Guam was organized by him in the house of Justice Jose M. Flores with Mr. C. C. Butler as Acting of “Ray” Reynolds of the Manila Club, all necessary papers were perfected and the application for membership was sent to Rotary International in Chicago by Pan American Clipper. 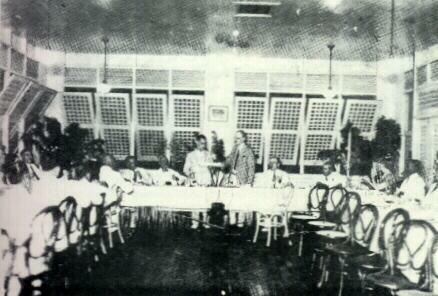 On 30 August 1939, the Rotary Club of Guam was admitted as a member of Rotary International as Club No. 5105, and the original Charter was issued and signed by Walter D. Head, President of Rotary International and Chester R. Perry, Secretary of Rotary International, on that date.